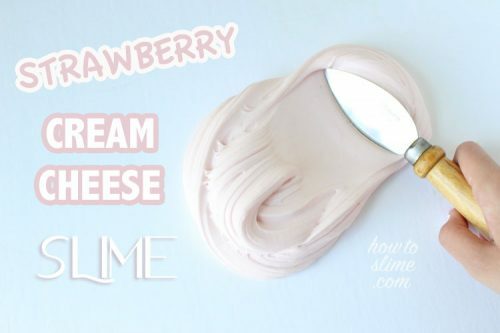 Would you like to know how to make Jam Slime? 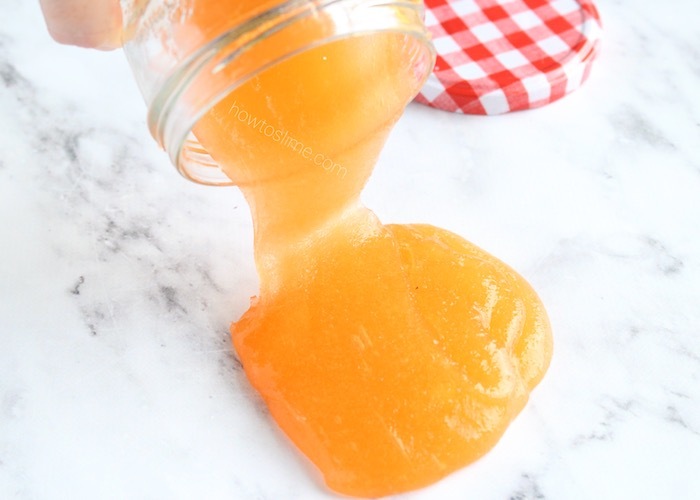 I made this orange jam slime recipe using clear glue, water and instant snow. The texture is amazing. 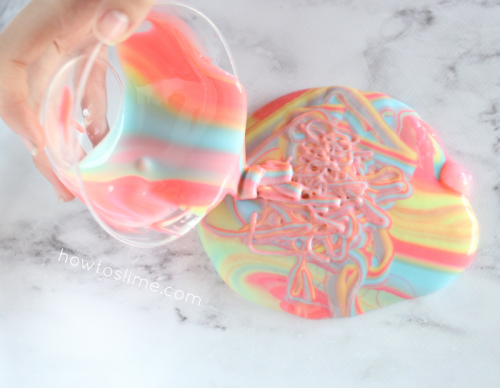 Even if you are using the same ingredients as you would use to make ICEE slime, this Jam Slime looks and feels different because you will be using more water. 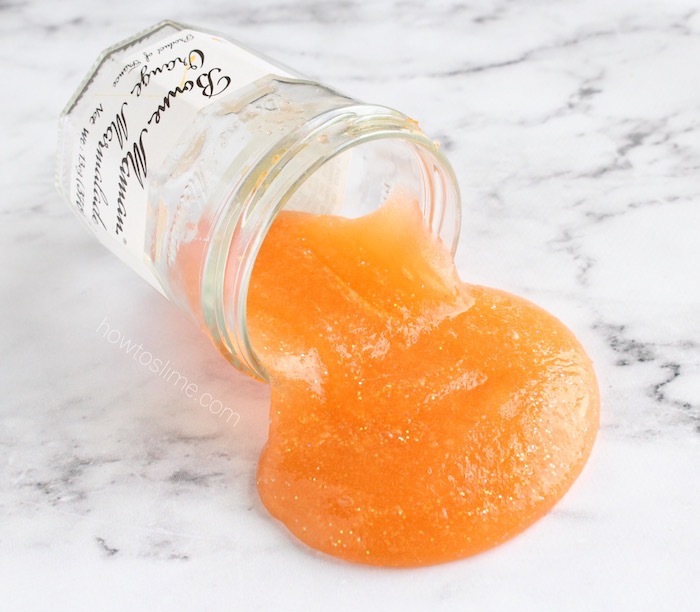 To make it look even more like real jam, marmalade or jelly, you can add some glitter as the “fruit seeds”, specially if you are making strawberry, blackberry or raspberry jam slime. To make the borax mixture you will need to add 1 teaspoon of borax powder to 1 cup of warm water and stir well to combine. Set aside. Activate the instant snow with a lot of water (about 4 cups of water). The snow needs to look clear instead of white, and very wet, so keep adding water until the snow is clear. Set aside. 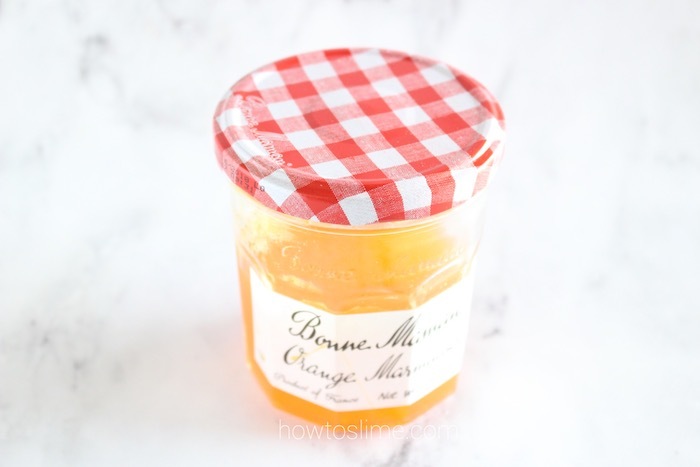 Pour the clear glue into a bowl and add one or two drops of orange food coloring. Stir well. 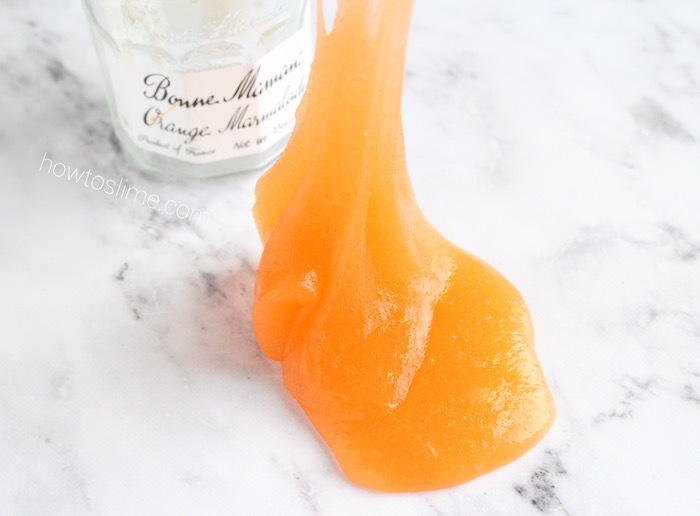 Start adding some of the borax mixture while stirring. Add as much as needed until the slime forms. You can over activate it because it will turn sticky again when adding the instant snow. 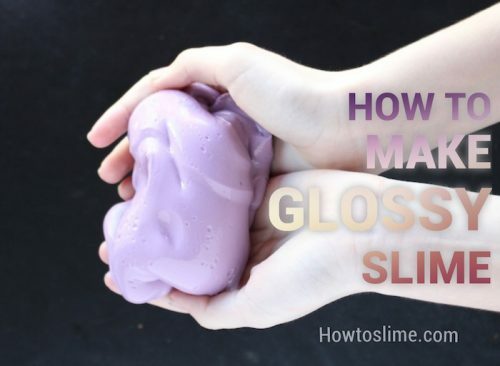 Add the already formed Instant Snow to the slime and knead with your hands. Add as much as needed to get the jam texture. 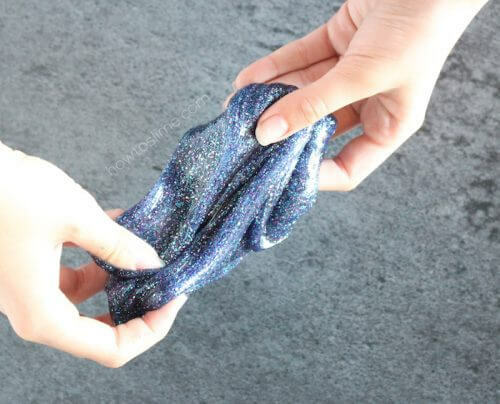 If it becomes too sticky you can add more borax to it. Keep it in an airtight container for a few days so it becomes more clear.